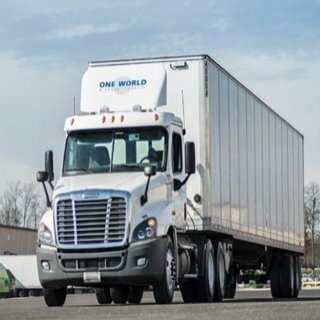 Class A CDL Driver - 2nd Shift - Home Daily - Marysville OH - East Liberty, Ohio - One World Logistics of America, Inc.
Company Name: One World Logistics of America, Inc.
One World Logistics of America, Inc., located in East Liberty, Ohio is NOW ACCEPTING CDL CLASS A DRIVERS WITH LESS THAN 1 YEAR EXPERIENCE!!! START MOVING YOUR CAREER TODAY by being part of a great company, that will invest in your future! We will get you on the road in a life long career! OWL provides 100% premium paid medical, vision and dental benefits to you and your family at no expense to you!!! Why move your career with us? More About One World Logistics of America, Inc. Established in 1999, One World Logistics is an over-the-road truck carrier for the automotive industry and can be found accross the United States and Canada. Our services include long and short haul trucking, air cargo support, LLP & non-asset based brokerage, as well as much more! A proud subisdory of Honda Logistics North America.